Soursop has a long history of being used to fight cancer naturally. People who live in tropical climates and have readily accessible soursop fruit (guanabana) that’s grown locally. The tree is often found in people’s backyards. The fruit tree’s leaves has long been used to make soursop tea. The raw fruit is also eaten daily in an effort to treat their cancer to beat the disease. Caribbean Islanders similarly relate to soursop the way people from the Middle East relate to Black Seed Oil, which is said to “cure everything except death”. If you ask any Caribbean islander, most know someone who has consumed soursop fruit, leaves or related graviola byproducts to cure cancer. Western medicine does not wholly support these claims, saying there is no absolute evidence that graviola or soursop works as a cure for cancer. The claims are anecdotal, but there is some science that is showing promise to prove that soursop is a definitive cancer killer. Claims that soursop – or graviola as some call it, or guanabana in Spanish – is an all natural cancer fighter has some basis in science and lab research. And many more types of cancer. The studies show that soursop may have the ability to kill malignant cells in 12 different types of cancer. The active ingredient is thought to be a type of plant compound (phytochemical) called annonaceous acetogenins. (Note that guanabana, soursop and graviola are all common words for the scientific name of the plant Annona muricata). 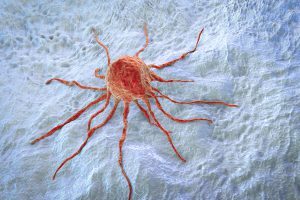 Although test-tube and animal research demonstrates that graviola may be an anti-cancer agent, there have been no clinical trials or studies in humans, and therefore the use of graviola for cancer treatment remains controversial and subject to much debate. Researchers have examined graviola leaves, bark, seeds and fruit. What scientists do know is that soursop contains many active compounds and chemicals which have healing properties. At the heart of the cancer research is an examination of a compound group known as phytochemicals. The phytochemical of interest to researchers is called asannonaceous acetogenins. Studies show that annonaceous acetogenins has potent anti-tumor properties. It exhibits selective toxic properties against tumor cells. Further clinical studies also demonstrated the powerful anti-cancerous, anti-tumorous, and antiviral properties of annonaceous acetogenins. 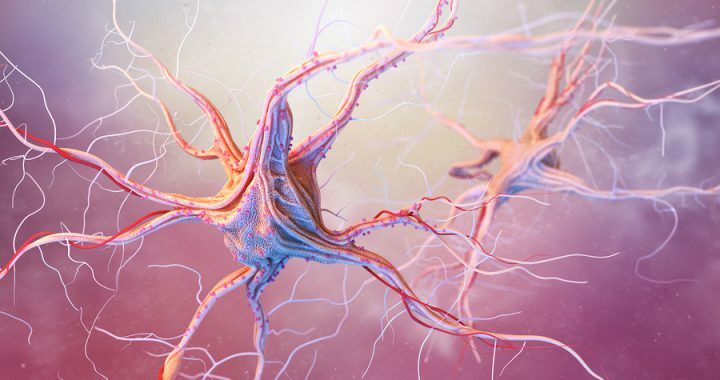 Recent studies have found that natural compounds of graviola, acetogenins have superb properties to inhibit the enzyme processes that are specifically present in membrane of cancerous cells. Through this mechanism of action they are toxic for cancerous cells and don’t create toxicity in healthy cells. However, a word of caution, no studies have yet been conducted with humans to show that soursop consumption is indeed an effective cancer inhibitor. That said, animal studies have shown extracts from the leaves can have anti-inflammatory, analgesic, antidiabetic, antiulcer and antiviral effects. Proof of soursop’s curative powers could come from clinical trials where cancer patients are treated with the fruit compounds. No have been conducted to date. 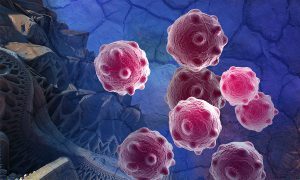 Purdue University published a promising news article in 1997, that showed that Annonaceous acetogenins are effective in destroying tumor cells. And, it has the ability fight cells that have shown resistance to other anti-cancer agents. The National Cancer Institute has also explored the toxic effects of Graviola against cancerous cells in a plant screening program in 1976. They discovered that the graviola stem and leaves demonstrated active toxic effects against cancer cells. and multidrug resistant breast adenocarcinoma. Other clinical findings by Taiwanese scientists show that at very low dosages, annonaceous acetogenins from graviola exhibited highly toxic effects particularly to ovarian, breast, cervical, bladder and skin cancer cell lines. 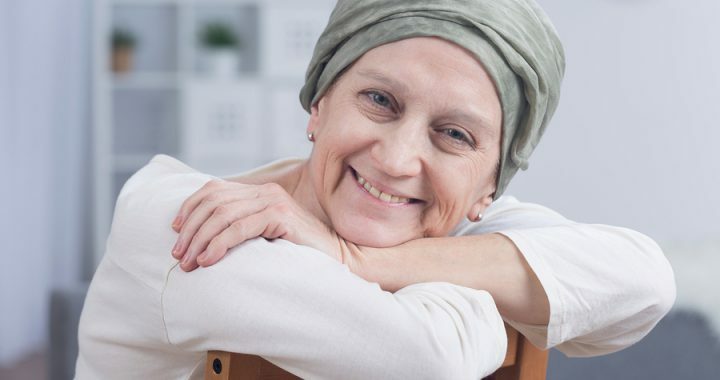 In laboratory studies, graviola extracts can also kill some types of liver and breast cancer cells that are resistant to particular chemotherapy drugs. What’s the bottom line? Can soursop cure cancer? It appears that consuming soursop may help cancer patients fight their disease, even if scientists have yet to definitively prove it. Learn more about where to buy soursop and graviola products. Here is a good list, to get you started. Plus read on. Wild, hand-picked and naturally organic soursop leaves are available here. They are sun-dried, organic and ready for tea making. Available on Amazon. It has a shelf life of a year in its sealed glass container. See our Gfruit review. We have pulled together the most commonly asked questions and answers about soursop tea for you here. You can ask us additional questions in the box at the bottom of this page. Is soursop tea the same as graviola tea or guanabana tea? Where can I buy whole graviola leaves teas to make soursop tea? How much soursop tea should I drink on a daily basis for healing purposes? How do I make soursop tea with whole graviola leaves? How do I brew soursop tea to treat an illness or for more of an impact on my health? Soursop tea is herbal, caffeine-free tea made from the dried leaves of the graviola tree. Learn how to make soursop tea below. Is soursop tea the same as graviola tea and guanabana tea? 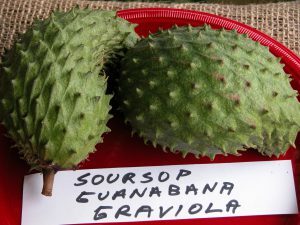 Soursop, graviola and guanabana are three words that mean the same thing. (See our soursop synonyms article.) The scientific name for the plant is Annona muricata. So soursop tea, graviola tea and guanabana tea is the same thing. It is dried leaves from the Annona muricata steeped in hot water for consumption for health and enjoyment. Where can I buy whole graviola leaves to make soursop tea? 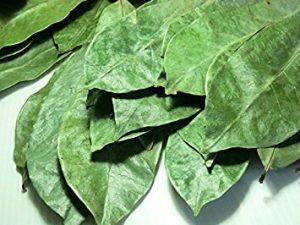 You can buy whole graviola leaves to make tea online. We will soon offer packages of wild-grown, hand-picked, sun-dried soursop leaves harvested from the Caribbean. For now, you can get them here:Amazon.com. There is no textbook answer to the questions of how much? or how often?. Because this is a frequently asked question, here's a longer answer. Soursop consumption is not a medically recognized treatment for an medical condition. Doctors do not learn about it in medical school. The FDA does not regulate it as a pharmaceutical in the US. So there is no AMA sanctioned dosage or frequency. That said, this information is provided to help you make your own decision about how much to drink. 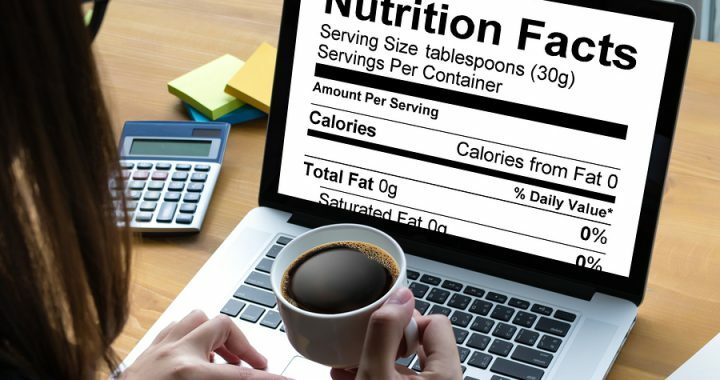 Here's a recommendation: Start with one cup per day. If it feels good, has no adverse reaction stick with it. If you eant to increase your consumption for additional healing benefits, add a second cup later in the day. Try this for seven days, and see how you feel. If you want to be more aggressive to address a health condition, start with three cups a day at breakfast lunch and dinner. Monitor how you feel and cut back if you suffer any weird or unwanted side effects or have any concerns. 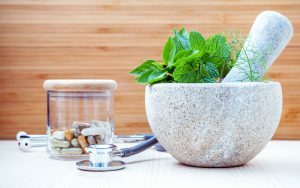 When it comes to treating any condition with herbal remedies, you might want to consult a naturopathic doctor. Can soursop tea be used to fight cancer? 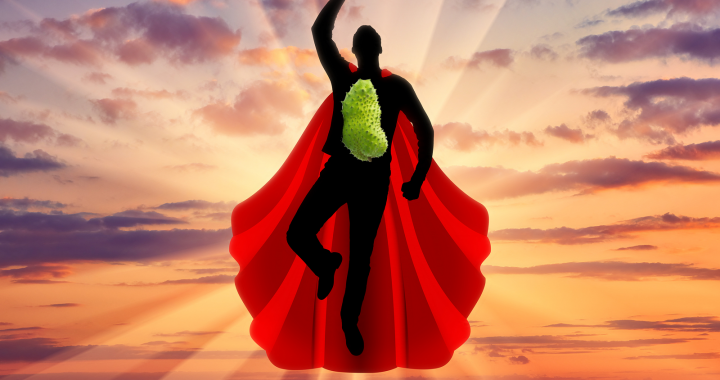 There is anecdotal evidence that soursop can be used to fight cancer. Some claim they have cured their cancer by eating the fruit and drinking soursop tea. Medical science is less certain that it is verifiably curative. However scientists have discovered are phytochemicals found in soursop that have been shown to destroy cancerous cells, even cells that have been resistant to other anticancer therapies. 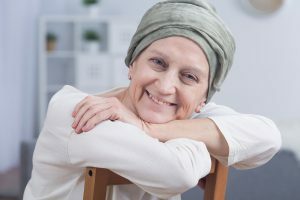 Drinking several strong cups of the tea each may be a good supplementary cancer fighting technique. As always, consult your doctor of oncologist before adjusting your medical treatment. To brew soursop tea with whole dried soursop leaves, start with two to three graviola leaves to produce one to two cups of tea. Place the leaves in a cup or small teapot. Boil two cups (500 ml) of fresh water. (Use filtered water for better taste.) Add water to leaves and let steep for 10 minutes. Remove the leaves before drinking. 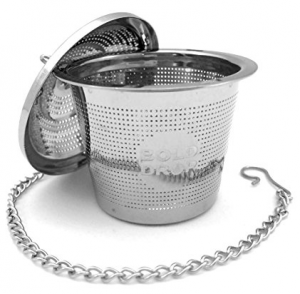 This brew time allows you to extract flavor from the leaves for a delicious and fortifing cup of soursop tea. 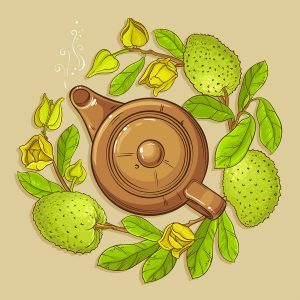 How do I brew graviola tea to treat an illness for more of an impact on m health? TECHNIQUE #1 - Add one to three leaves, depending on their size to for 1 to 2 cups (250 to 500 ml) of filtered water in a stove top pan. You can crush the leaves and place in a tea infuser if you prefer. Cover and simmer for 20 to 30 minutes. TECHNIQUE #2 - Add whole graviola leaves to a stove top pot with one quart (1 L) of cold water. Bring the water to a boil and and let boil uncovered until the water has been reduced by half. Extra steeping time extracts more of the benefits of the graviola leaf. 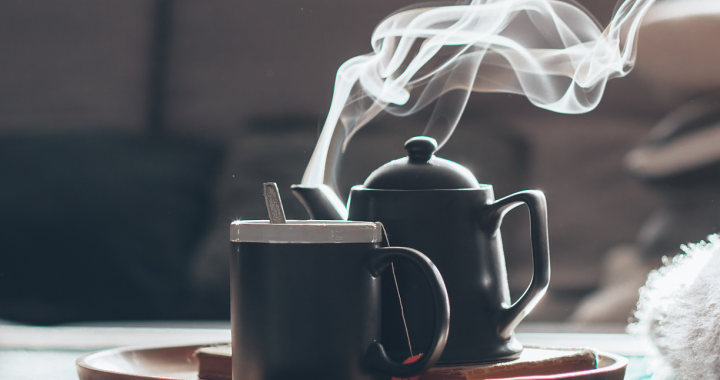 Drink the tea at room temperature or you can reheat it.